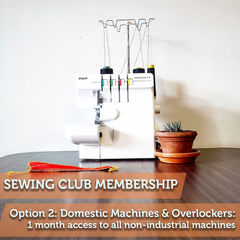 Need to access a sewing machine more regularly? 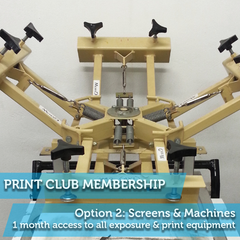 We offer sewing machine memberships, just like a gym! 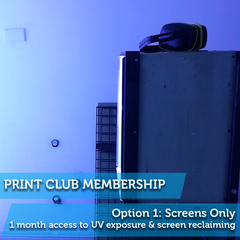 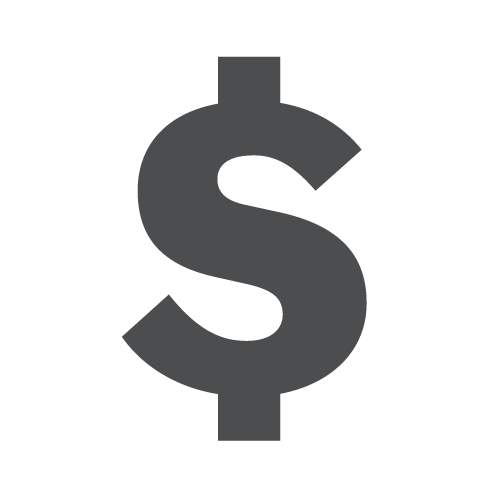 You sign up for the month (no lock in contracts here) and come in as many times as you need through the month! 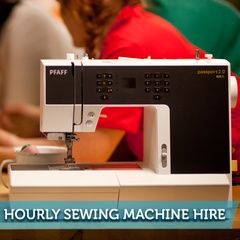 You must be at a beginner sewing level to use our machines. 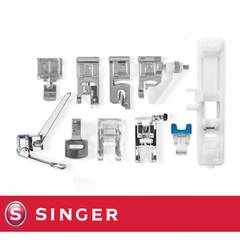 You should feel confident threading a machine, changing needles, adjusting tension and stitches to projects and speed control. 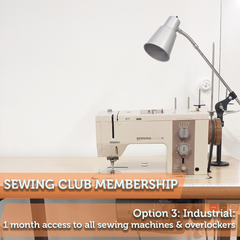 We need to feel confident you can be left to sew on your own, so complete beginners will not be able to rent out machines unless checked off by a team member at Bobbin and Ink. 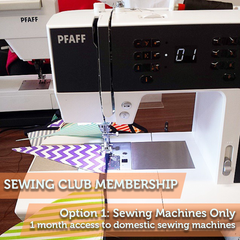 If you are a beginner why not sign up to our Sewing Machine Set-Up Class to get you started? 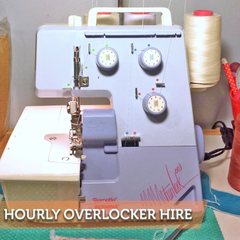 You'll need to bring your own domestic sewing machine needles and thread at all times or you can purchase some in-store.